A new ZIL to thrill us all. 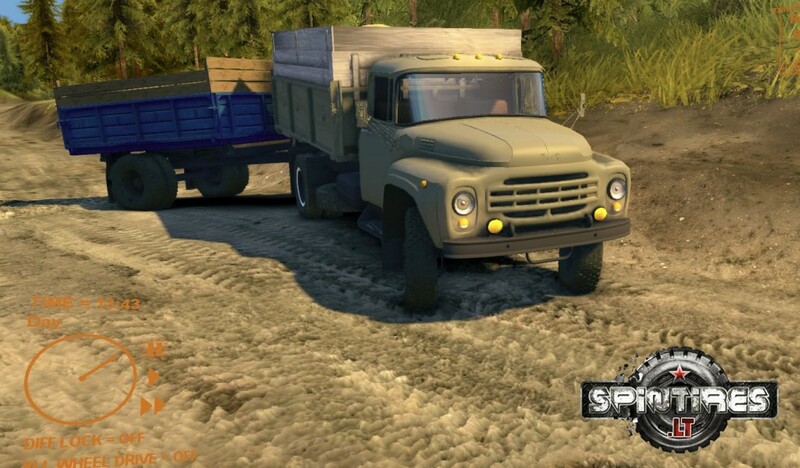 Nice mod this from spintires.net which comes with a trailer. Nice level of detail. I did add front wheel drive to this truck so when you engage the all wheel drive the front wheels work. It is needed because this mod has one minor flaw and that is that the back end seems to hit the dirt to easy and get stuck with the back wheels spinning.